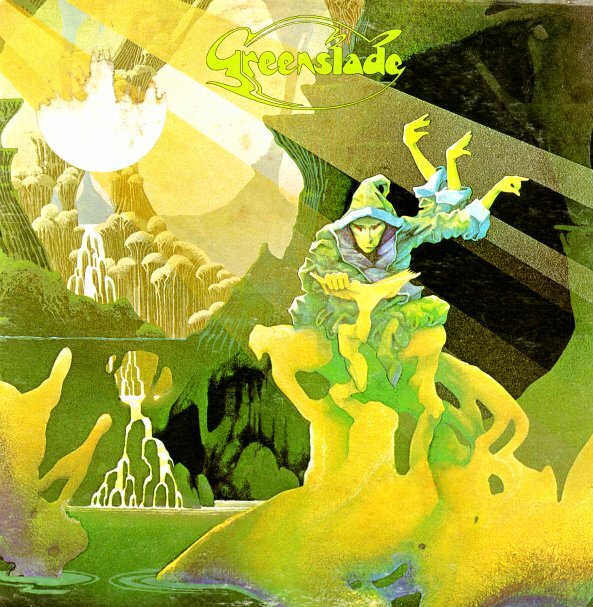 The debut album from Greenslade – a set that's as sprawling and dynamic as its famous cover image from Roger Dean! Dean gives the whole package a bit of a Yes-like vibe – and there's definitely that sort of inspiration going on here – a really sharp, well-played mix of the keyboards of leader Dave Greenslade with fierce work on bass and drums – both handled with a fantastic sense of changes, and a driving force that never gets lost in itself or overindulgent! At a time when some prog groups were getting too darn proggy, these guys really stay the course – and are given fantastic guidance in the vocals of Dave Lawson – a really distinct singer who should have had a much bigger audience at the time. About as great as you can get for a record like this – with tracks that include "Temple Song", "Sundance", "Feathered Friends", "An English Western", and "Drowning Man". 2CD version features a whole set of live material recorded for the BBC – titles that include "Feathered Friends", "Melange", "Temple Song", "An English Western", and "Drowning Man". © 1996-2019, Dusty Groove, Inc.